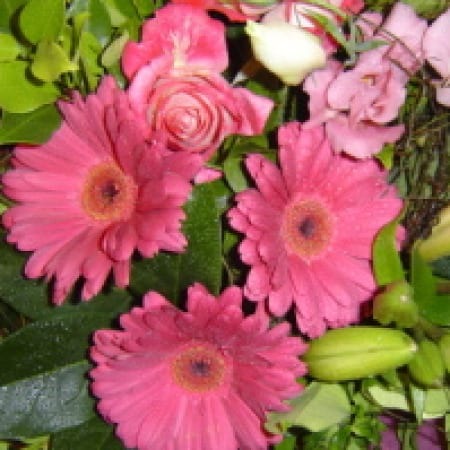 Amaranthine`s Pink Garden is filled with romantic roses, bright gerberas, lillies and lush green foliages. This designer bouquet is elegant and will make a striking piece in any home, office or function centre. Featuring long lasting and classic blooms this is a gorgeous way to say Thank you, I Miss You, Happy Anniversary or Just Because. This is a unique bouquet from Amaranthine Flowers By Design Charlestown Newcastle, beautifully gift wrapped and delivered in a convenient temporary vase.